“A soulful and searching book. Vibrant and elegant…McCarthy’s prose shines with intelligence and intimacy. One feels pulled along…the book gaining momentum and meaning page by page” (Cheryl Strayed, The New York Times Book Review). 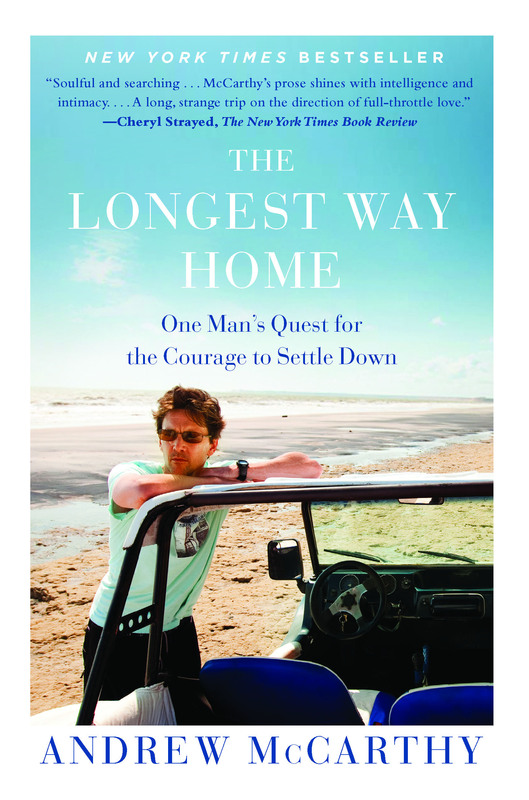 WITH ABSORBING HONESTY AND AN IRREPRESSIBLE TASTE for adventure, award-winning travel writer and actor Andrew McCarthy takes us on a deeply personal journey played out amid some of the world’s most evocative locales. Unable to commit to his fiancée of nearly four years—and with no clear understanding of what’s holding him back— McCarthy finds himself at a crossroads, plagued by doubts that have clung to him for a lifetime. Though he ventures from the treacherous slopes of Mt. Kilimanjaro to an Amazonian riverboat and the dense Costa Rican rain forests, McCarthy’s real journey is one of the spirit. Disarmingly likable, McCarthy isn’t afraid to bare his soul on the page, and what emerges is an intimate memoir of self-discovery and an unforgettable love song to the woman who would be his wife. "Combining the best aspects of Paul Theroux’s misanthropy in books like Old Patagonian Express and Elizabeth Gilbert’s emotions in Eat, Pray, Love, this book is hard to put down. Bound to be popular, this compelling and honest chronicle will not disappoint readers." “Andrew McCarthy treks from Baltimore to the Amazon, exploring his commitment issues as fearlessly as he scales Mount Kilimanjaro." "Brave and moving...McCarthy’s keen sense of scene and storytelling ignites his accounts...[t]hreaded with an exemplary vulnerability and propelled by a candid exploration of his own life’s frailties." "This is not some memoir written by an actor who fancies himself a world traveler. McCarthy really is a world traveler – and a damned fine writer, too…To readers who think, “Andrew McCarthy? Really?” the answer is a resounding and emphatic yes. Really."